Sony's Cyber-shot cameras are getting a series-wide upgrade for 2011. In fact, one of the most affordable models, the DSC-WX9, features many of the same capabilities found in series-siblings costing twice as much: 1080/60i AVCHD video recording, a 16.2-megapixel "Exmor R" back-illuminated CMOS sensor perfect for lowlight environments, 10fps burst shooting at full resolution, and Dual Rec Mode (while shooting video, the camera can also capture a 3-mepapixel still images). The DSC-WX9 also includes an "In Camera Guide" for those who find camera settings confusing, Background Defocus Mode (meant to generate the shallow depth of field typical of expensive DSLRs), and Sony's proprietary Intelligent Sweep Panorama technology (users pan the camera across a vista and the camera automatically creates a wide panorama shot). 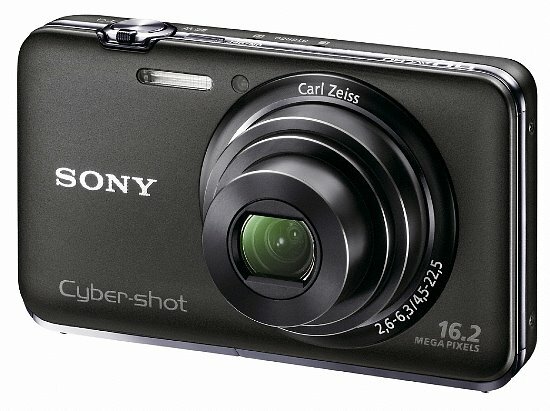 Included in each of this new generation of Sony Cyber-shot cameras are 3D Sweep Panorama and 3D Still Image modes. In these modes, the DSC-WX9 takes two consecutive shots in different focus positions to calculate depth. 3D Still Images can be seen in normal 2D or in 3D on compatible 3DTVs (just remember, you'll need the 3DTV, 3D glasses, and proper cabling, which are all sold separately). Another 3D feature is called Sweep Multi Angle mode, where the camera takes 15 still images at different angles to assemble a panorama, which can be viewed on the camera's LCD screen by titling and panning the camera. The DSC-WX9 also features a less advanced version of Sony's Backlight Correction HDR (High Dynamic Range) Mode, which takes shadows, highlights, and mid-tones from two separate photos (the more advanced version on the DSC-TX100V uses three separate photos) to create one brilliant image. So what's the reason the DSC-WX9 is $60 cheaper than the DSC-WX10? Well, the 25mm Sony lens is perfectly capable, but doesn't feature the same fast aperture or wide angle extreme of the DSC-WX10, and it only has a 5x optical zoom range (compared to 7x on the WX10). 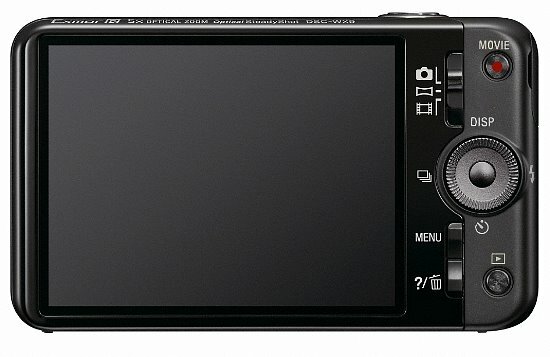 The DSC-WX9 is also relegated to automatic shooting modes, where pricier cameras in this Cyber-shot series have more manual controls. Sony's DSC-WX9 will be available in March for around $220 US, and will come in black, silver, and red.